A dementia care home has introduced a new form of therapy- by bringing in three baby DOLLS for residents to nurture and care for. The three toys, whom residents have names Violet, Isobel and Lavender, have been fawned over by the elderly dementia patients, who hold them and sing to them. The nurture therapy is recommended by Dementia UK, which reports that having a doll to interact with can stimulate and improve communication with others. 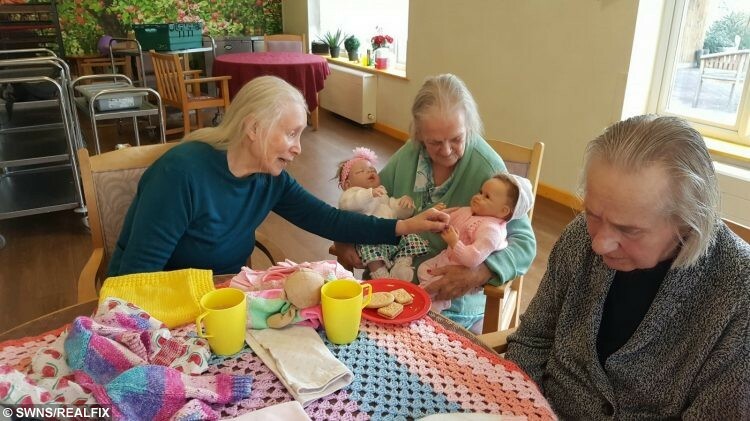 And residents at Camelot House and Lodge in Wellington, Som., seem to be enjoying the company of their three new baby dolls. 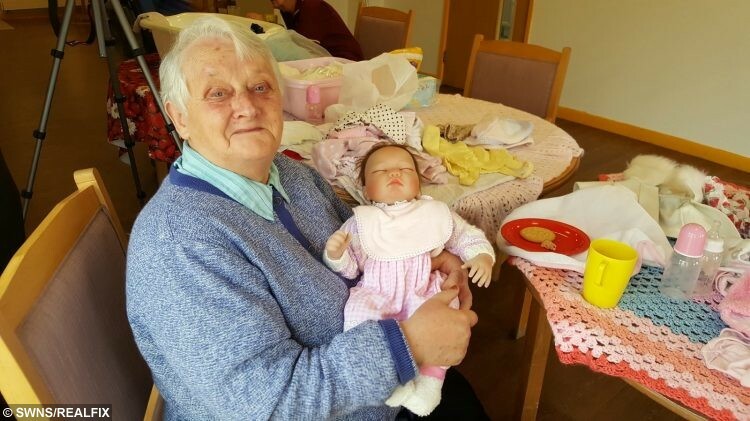 Activities co-ordinator Richard Dempslake said: “Our three baby dolls have been a huge hit and they provide comfort, emotion and reminiscence to our residents. “We have many items of clothing and accessories including bottles, bath, prams and Moses basket, so they can be dressed, washed and even have nappy changes. “Our residents love to hold the babies, sometimes holding on to them all day, rocking them and singing to them, basically rediscovering the warm, nurturing feelings of caring for a young child. It is known that cooing to a baby doll can sometimes serve as a trigger to resume communication for people with dementia who have not spoken for months. Proper therapy dolls are life-like in feel and weight and are dressed like a real baby. They should be carefully introduced in a controlled atmosphere, allowing the resident to ‘take responsibility’ if they wish to, and this can reintroduce valuable structure to people’s lives. The dolls seem to have inspired a renewed sense of purpose in the residents, leading to increased activity levels and liveliness. Camelot House and Lodge is run by award-winning dementia-care providers Camelot Care.